What administration officials have insisted is only a “trade dispute” appears closer to becoming a trade war. After Washington slapped 25 percent tariffs on steel and aluminum from Mexico and Canada, Mexico has retaliated with tariffs on a diverse range of American exports. Canada is said to be considering a similar response. The Mexican tariffs target U.S. pork, produce, bourbon, and steel – products chosen with a political objective in mind. With midterm elections looming, the tariffs are crafted to affect states and regions of the country where Republican politicians appear most vulnerable. The tariffs will make those U.S. products more expensive for Mexican consumers. But in an odd twist, American consumers could eventually pay less, especially for pork products. Mexico is a huge importer of American pork. With tariffs raising the price by 20 percent, Mexican consumers may purchase less of it, meaning the country may end up buying a smaller quantity of U.S. pork products. American producers would either have to reduce production, find another market, or sell more domestically, which would increase the supply and lower prices in the U.S. In an immediate response, hog futures prices dropped by 2 percent on the Chicago Mercantile Exchange. Virginia farmers' pain, however, could make it harder for Republicans to capture a U.S. Senate seat from Warner's colleague, Sen. Tim Kaine (D-Va.), who is seeking reelection. Canadian Prime Minister Justin Trudeau has stepped up his criticism of the Trump administration in recent days, taking special offense to the “national security” rationale Washington used to justify steel and aluminum tariffs on its close ally and trading partner. 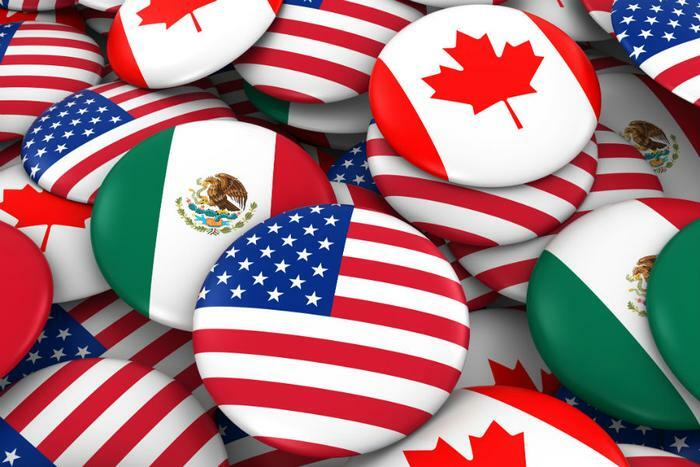 The U.S. announced tariffs on Canadian and Mexican steel and aluminum after talks stalled on a renegotiation of the North American Free Trade Agreement (NAFTA). The Trump administration has held out the possibility of scrapping the treaty entirely and negotiating bilateral trade agreements, something both Canada and Mexico oppose.